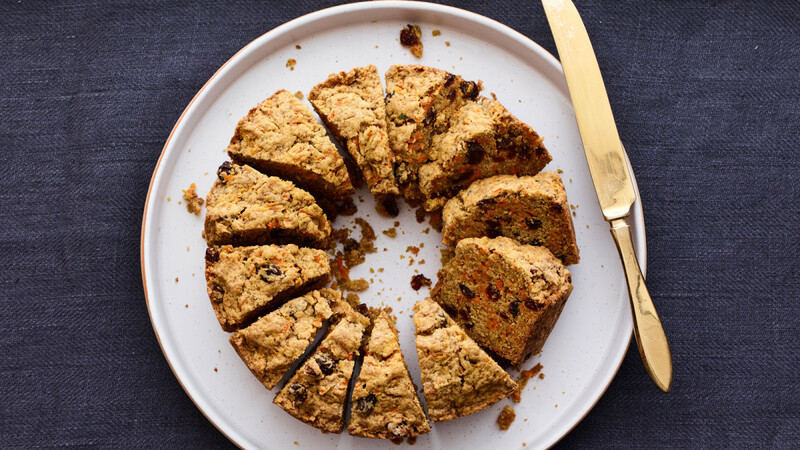 When the word kugel first appeared in Webster’s Dictionary in the early twentieth century, it was defined as “a suet pudding,” a characterization derived from similarities between kugel and British steamed puddings. 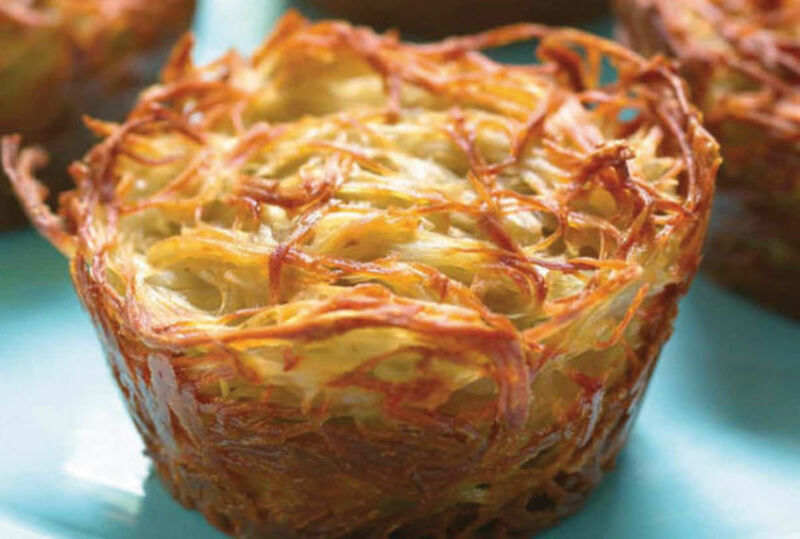 Later, the Merriam-Webster Dictionary updated the definition to “a baked pudding.” Baking, however, was actually a late step in the kugel’s evolution. For the kugel’s (kuglen plural) origin lay not in a casserole, but rather as bread dumplings in a stew pot. 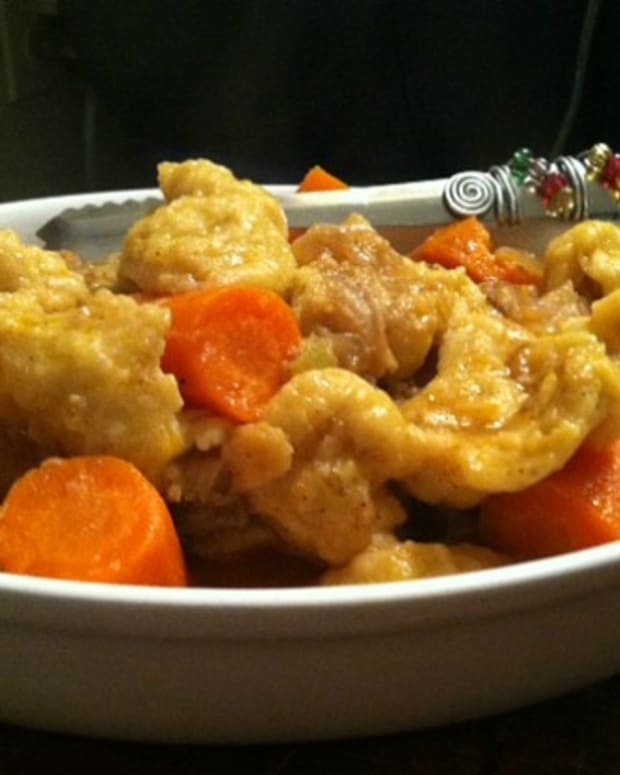 By the 12th century, the concept of dumplings spread from China along the Silk Road to Italy then Germany, around the same time that cholent reached Germany from Spain by way of France. Within a century or so, German cooks began dropping a bread batter containing a little egg as a binder into the center of the Sabbath stew, the dumpling developing a rich flavor and texture as it simmered overnight and, after morning services, served warm alongside the stew for lunch. Then emulating an emerging German practice of steaming puddings in a clay pot instead of in a stew or in intestines, Jewish housewives began cooking the dumpling in a kugeltopf --kugel was the Middle High German for “ball” and topf meant “jar/pot”-- a commonplace small rounded Teutonic earthenware jar. The kugeltopf was placed in the top of the stew, the steamy environment keeping the batter moist and preventing burning. 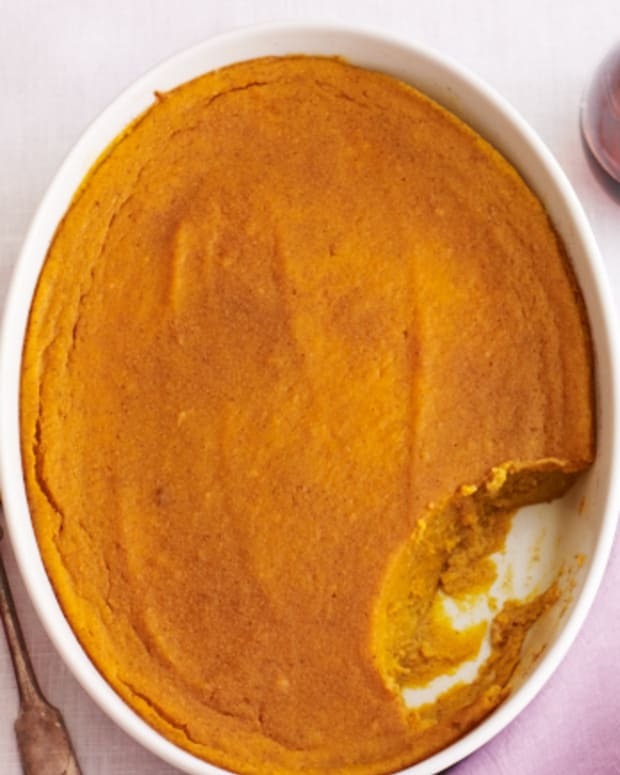 This not only transformed the batter into a pudding with the potential for greater versatility, but also gave rise to a new name. In order to differentiate the pudding from the stew, people began calling it variously weckschalet (weck was German for “bread roll”), semmelkugel (semmel/zemmel was another Teutonic bread roll), and schaletkugel, a reference to the resulting round shape. In western Europe, these puddings are still called schalet, while in eastern Europe, kugel became the generic term for all these puddings. 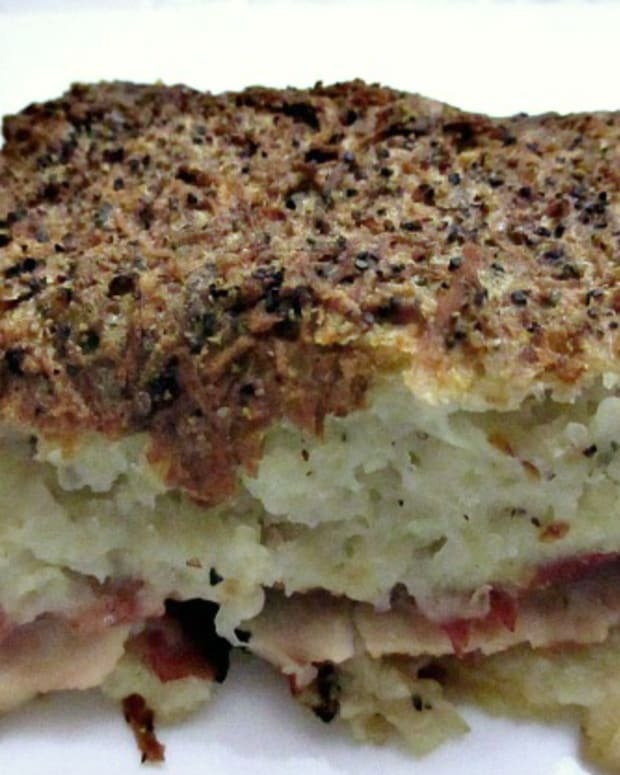 Whether pronounced kugel (by Poles and Lithuanians), koogle (by Germans), or keegal (by Galitzianers), this dish ranks high in the pantheon of Jewish foods. When do we eat kugel? As the kugel came out of the Shabbat cholent, the rudimentary bread dumplings gradually evolved into an array of dishes. Onions, ubiquitous in Ashkenazic cookery, were sautéed and added for extra flavor. Gribenes, cracklings made while rendering schmaltz, provided another possible flavor element. The popularization of sugar in 17th century Europe led to sweet puddings. The common denominators of all true kugels are a starch base, eggs (or egg substitute), and fat, without the addition of water or other liquids. If the dish lacks any of the basic ingredients, it is technically a casserole or cake, not a kugel. 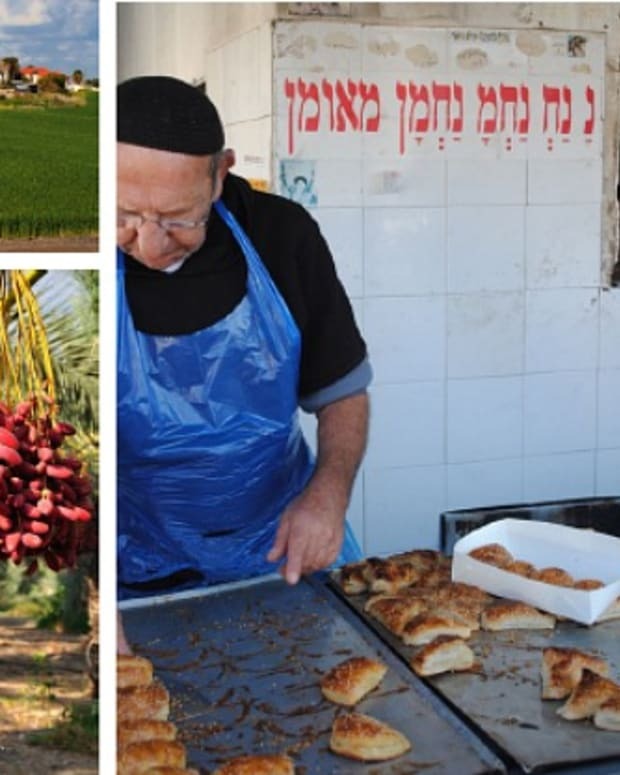 Beginning in the late 1700s, groups of Chasidim and students of the Vilna Gaon began moving to Israel, bringing with them the traditions of eastern Europe, including clothing and foods. 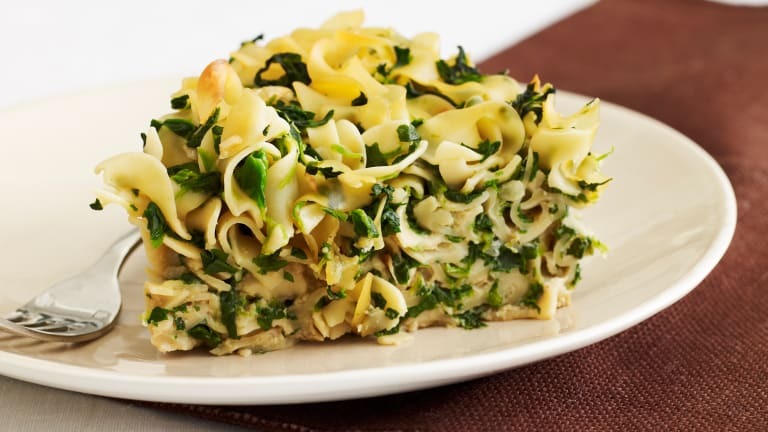 In Jerusalem, they developed a distinctive noodle kugel, a hybrid of traditional salt-and-pepper noodle kugel and sweet noodle kugel, featuring a tantalizing contrast of ground black pepper and caramelized sugar, Yerushalmi kugel. During the Middle Ages, only some wealthy families owned a home oven. Most foods were cooked on the hearth over an open fire, while baked foods had to be lugged to the town bakery or to the occasional private home oven, typically using the facilities for a fee. In addition, temperatures were difficult to regulate in those wood-burning brick or clay ovens and baked goods had to be carefully watched during the entire baking time. On the other hand, the temperature of stews or water in a pot could be reliably controlled. Consequently, for most of history, cooking was usually performed directly over a fire (roasting, braising, boiling, steaming, and poaching) and kugels were commonly steamed. In this vein, the first Jewish cookbook in English, The Jewish Manuel by Judith Montefiore(London, 1846), which contains the first record of the word kugel in English, offered a recipe for “Kugel and Commean,” (hamin) entailing a sweetened and spiced bread mixture in a covered “quart basin” steamed in a meat-and-bean stew. Similarly, Esther Levy, of German roots, in the first American Jewish Cookbook, Jewish Cookery (Philadelphia, 1871), included a recipe for “Coogle, Or Pudding, and Peas and Beans,” consisting of a sweetened noodle mixture steamed in a covered basin set in a soupy cholent. Technology played an essential role in creating the kugel’s predominant modern form, particularly in America. With the popularization of the home oven in the mid-19th century, kugels suddenly shifted from the stew pot to baking it in a separate shallow container. The kugel, as we now know it, a baked casserole pudding, had arrived. 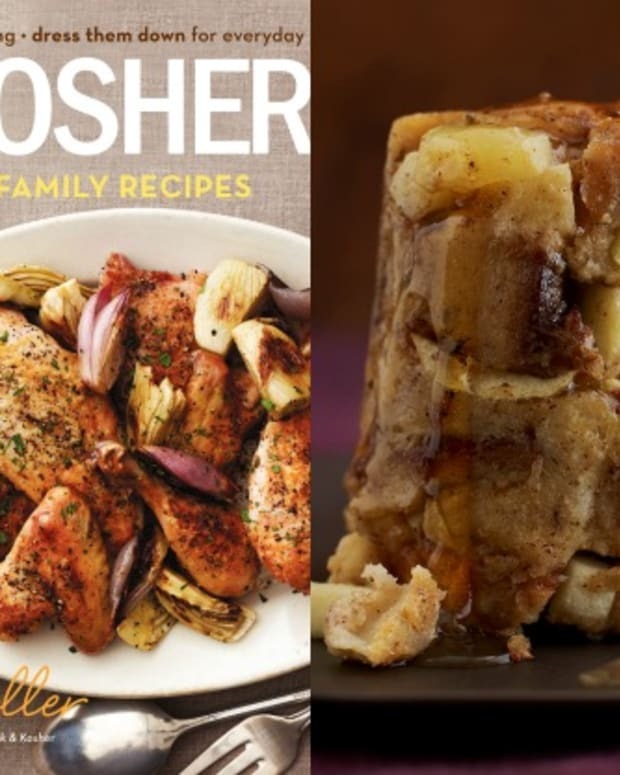 Baking the kugel in an oven had another consequence, changing it from being primarily a Sabbath lunch dish and accompaniment to the cholent to one also served as a side dish for Friday night dinner and even during the weekday. 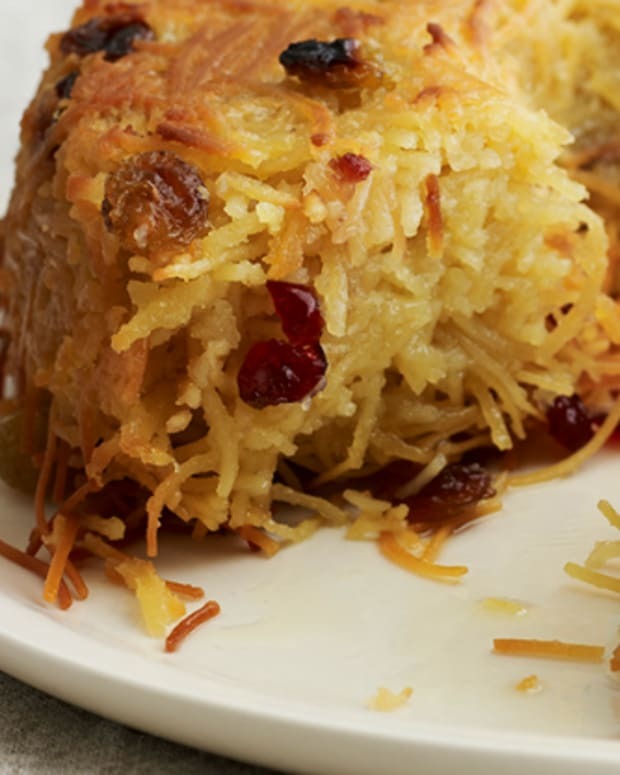 Browse all our kugel recipes.